in complete freedom at the crystal clear sea. 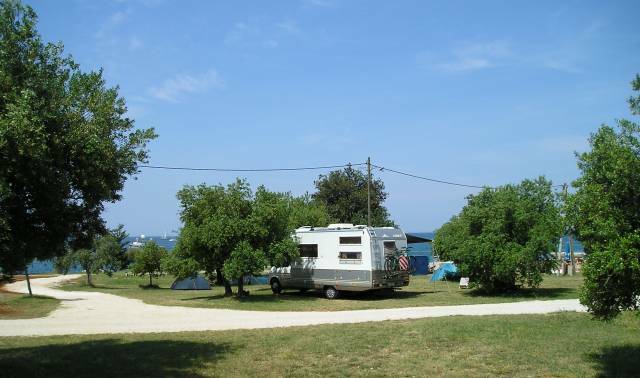 The campsite also offers modern equipment as well as plenty of additional amenities and leisure facilities for every taste. 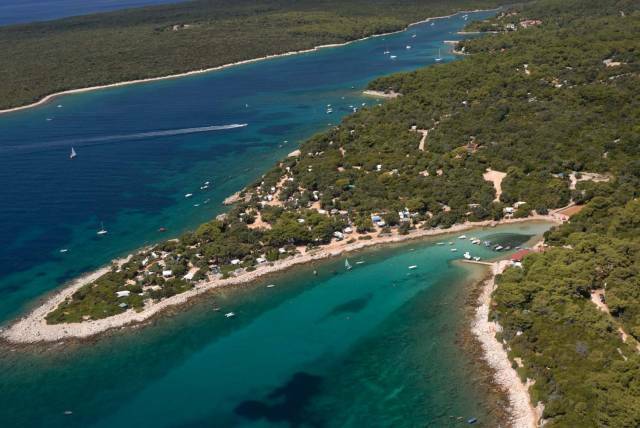 Campsite info: restaurants, bars, grill, supermarket, newspaper and souvenir shop, massage parlour, free WiFi access Bathing facilities: rocky, pebbly and grassy beach, 2 swimming pools. Sport and entertainment: tennis, table tennis, mini golf, beach volleyball, dance terraces, boat harbour, children’s playground, mini club, creative workshops, live music, entertainment programs, in the surroundings: cycling, riding, diving. 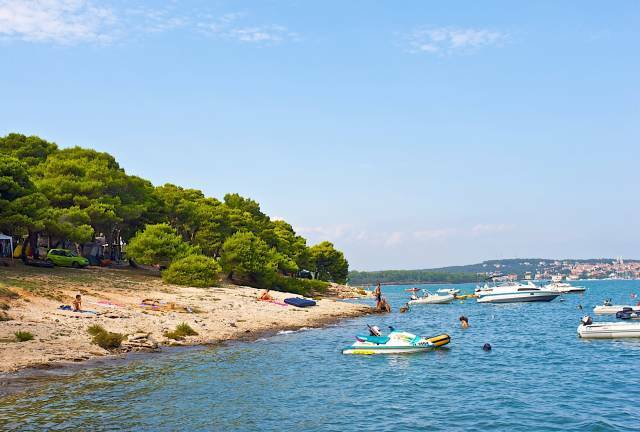 Surrounding area: Poreč (5 km), Vrsar (7 km), Pula (50 km) Miscellaneous: Dogs are not allowed at the beach, but there is a small dog beach area.